Learn to love your curls. You don’t have to blow dry, straighten, and flat iron your curls into submission. Embrace the curly-haired genes your mama and papa gave you. 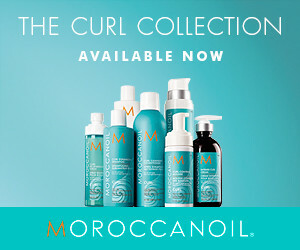 Moroccanoil just made it a lot easier to care for, maintain and LOVE your curls. Antioxidant-rich argan oil a nourishes and breathes new life into dry, brittle and fragile curls. Moroccanoil offers its argan oil infused formulas to promote control, shine and movement to keep your curls deeply hydrated, defined and frizz-free. 3. Refresh- Finally, re-energize and refresh slept-on or end of day curls with this light argan-infused moisture mist.